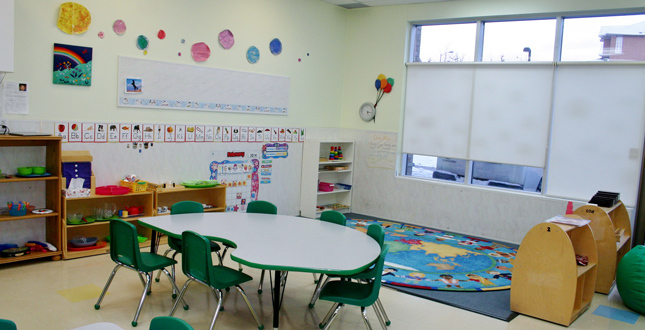 Shining Light Montessori School is bright and welcoming, and just the right size for kids from 16 months to 5 years old to feel at home. 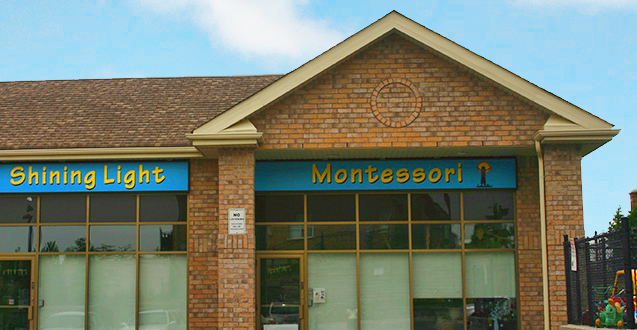 With a lovely large & safe playground adjacent to the school, nutritious snacks and hot lunches, and most importantly, experienced teachers who are passionate about caring for and teaching your children, Shining Light Montessori will be your child’s new favourite place to be! 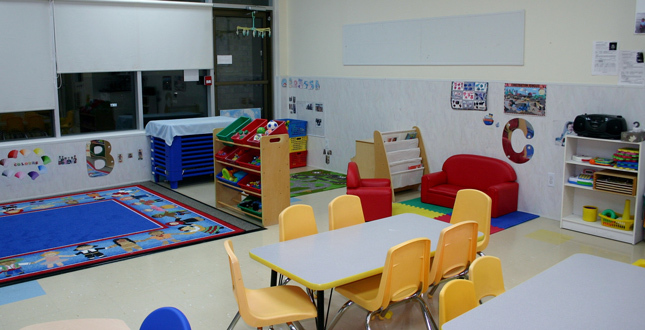 Our top priority is giving your children a place to "let their light shine". 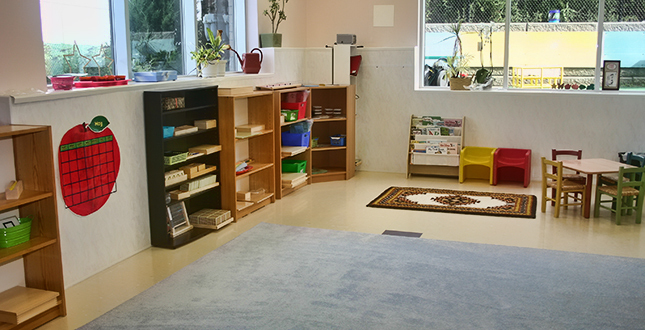 Our Montessori classrooms are like a buffet to a child, with many child-centred activities which promote concentration,independence, self-motivation and higher level thinking skills. However, to the child, they’re just toys and games to be enjoyed! The child is free to enjoy them when he pleases, thus learning not by rote and memorization, but naturally, by doing something that’s fun. 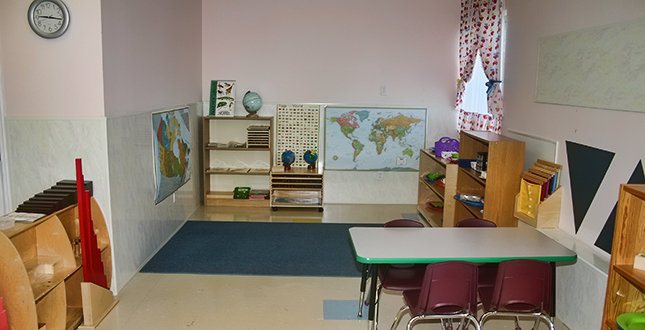 Over the three years that most children are in Montessori (through senior kindergarten), their interests tend to take them in the direction of reading, writing and math skills without being pushed. The experience is positive and keeps them excited about learning. The children gain higher self confidence and self esteem as they begin to experience success at self-chosen activities. An atmosphere of respect in the classroom helps each child feel that he is a valued member of our community. Arts and crafts, music and movement, and gym classes round out our Casa curriculum. 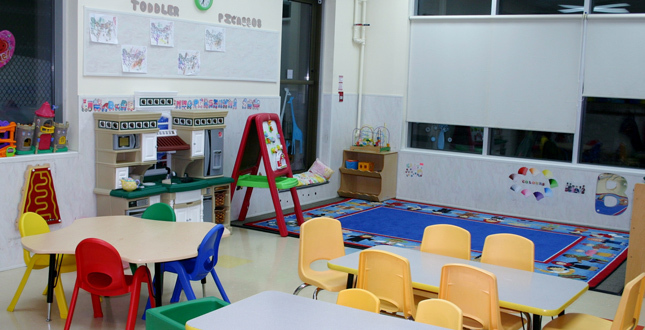 Our toddler classroom has a wonderful variety of toys and activities to excite our youngest students. 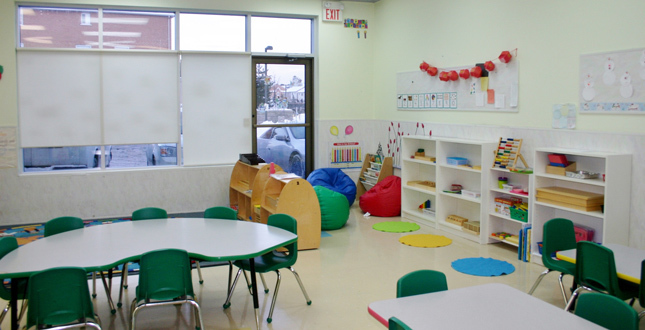 The children are beginning to socialize, enrich their language skills and refine their motor and cognitive skills in an environment that's small enough to ensure plenty of individual attention and learning opportunities.